Summary: Following some simple tips can make the process of finding a new couch to help tie your room together that much more manageable. Finding the perfect couch for your house can be a huge decision. A sofa is an expensive piece of furniture that will hopefully be used for several years, which can make finding the right one all the more challenging. By asking yourself such things as where the couch would go and what purpose it would fill, you can get a better idea of what piece would make the perfect addition to your house. Even though you have not started searching for a new sofa yet, you likely have a good idea of where you would like it to go. 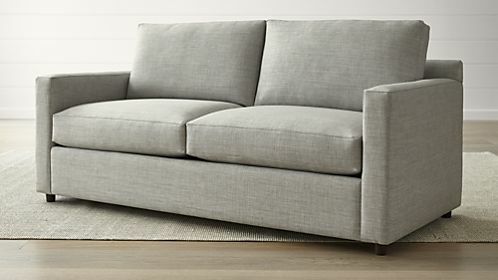 Are you going to replace a larger sofa that can seat three people or are you purchasing an individual seat? The number of couch cushions you will be working with is important, because it can greatly impact where you would want to place the piece. A larger couch that can seat multiple people usually looks best by a wall. Placing artwork on your wall, just above the couch, is a great way to make the space feel full. If you want more seating in a particular room by notice that there is only space closer to the edges, then smaller, individual sofas would work best. A couch is more than just a place to sit. Seeing as you likely will not move the sofa much, you need to think about how it will visually fit in your house. If you regularly have gatherings at your house, then a white cushion from The Foam Factory might not be the wisest investment. If you are going for a minimalist layout in your house you should find a low profile piece that is not too flashy. The primary characteristics you want from a seat cushion are comfort and durability. However, different types of foam will suit a different range of cushions. For example, Dry Fast foam is perfect for outdoor use. When shopping for a foam cushion, there is some terminology that you will need to know. The first is the density of the foam. The density of the foam is the amount air trapped within the foam. The key metric for foam density is pounds per cubic foot. The higher the value, the higher the density, and the more durable. The other property is the IDF (Indentation force deflection) value of the foam. It is the amount of weight it takes to compress the foam by 25%. IDF values range from 30 (soft) to 70(firm). A foam with an IDF of 40 will take 40 pounds to compress by a quarter. The best foam for indoor use is the affordable polyurethane foam. It does not handle moisture well, which is why it is better suited for indoor use. Regarding density, polyurethane foam ranges from 0.8 to 6. Open and closed cell foam both work for outdoor use. 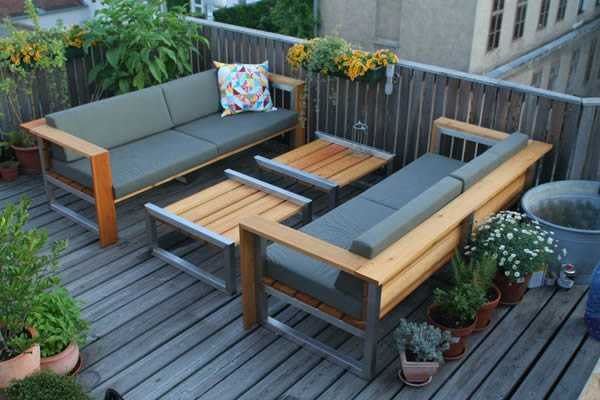 However, for seat cushions, open cell foam is a better option. An open cell foam like Dry Fast foam is the best. According to The Foam Factory: Dryfast foam is specialized for outdoor applications because of its superb ability to allow water and other liquids to flow through it very easily.